I’ve got a lot of vegetables on hand this week. Normally, we split our CSA share with another couple, but they are vacationing in Hawaii for the next two weeks, soaking in the rays and volunteering at the Ironman World Championships in Kona. Needless to say, I’m incredibly jealous. 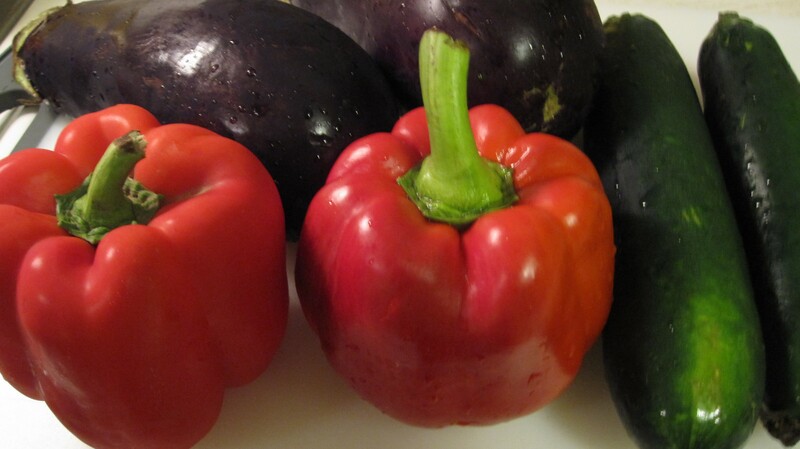 So, while they are snacking on tropical fruits like mango, pineapple, and dragon fruit from the local farmers market, I am determined to make some great meals from the selection of fall vegetables that I have here. My husband’s Italian family makes a mean lasagna. It makes an appearance at every holiday celebration or family get together. So, in an effort to make a fabulous meal that Chris will enjoy AND that satisfies my never ending search for healthy pasta substitutes, I’ve thrown together a simple veggie lasagna. 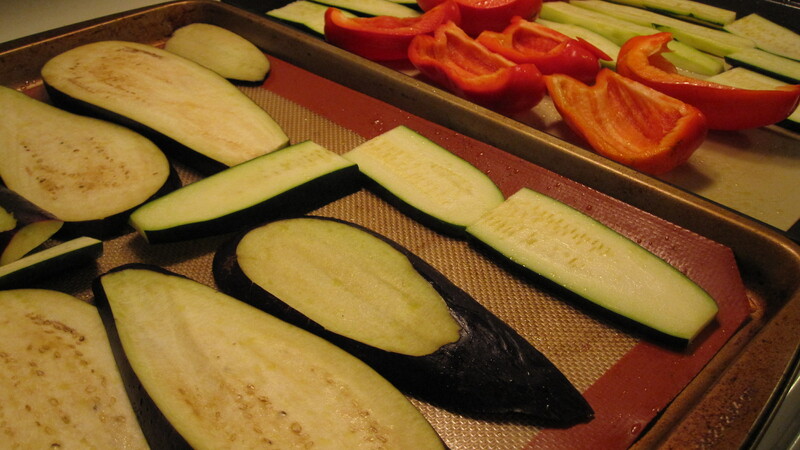 Preheat your oven to 425 degrees and lay out your veggies on a baking tin. Lightly coat them with olive oil and season them with salt and pepper. Bake the veggies for about 15 minutes. They should be cooked through, but not charred. 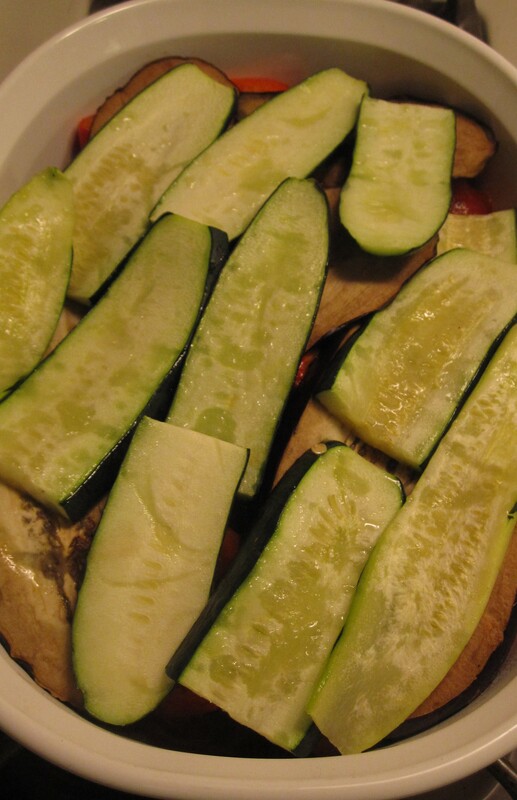 Remove the veggies and lower the oven temperature to 350 degrees. 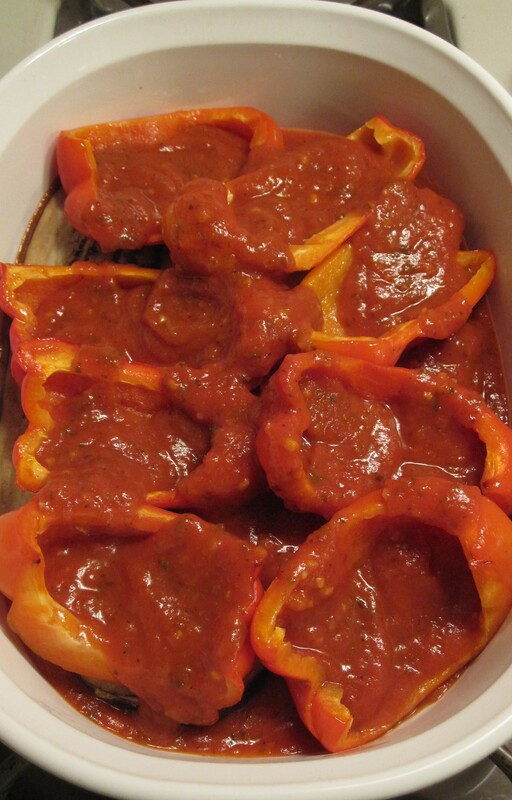 Coat the bottom of a casserole dish or baking pan with a thin layer of sauce. 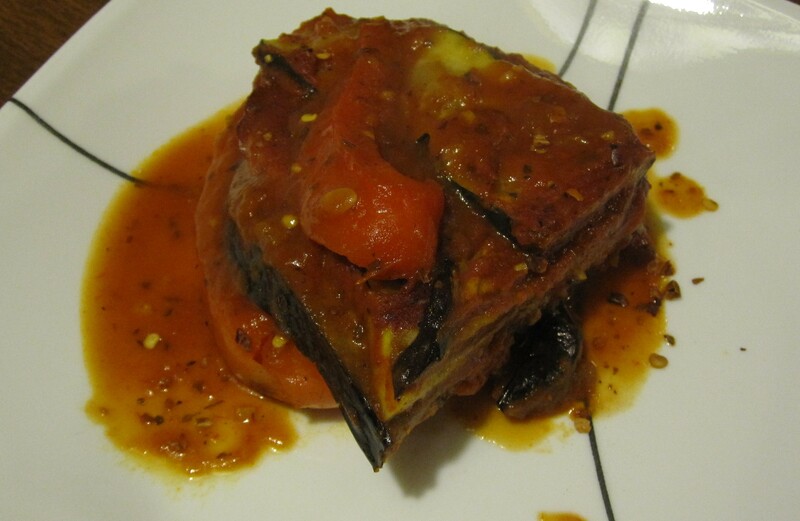 Starting with the eggplant, stack two layers of veggies and then cover them with a layer of sauce. Continue this until you have used all of the veggies. 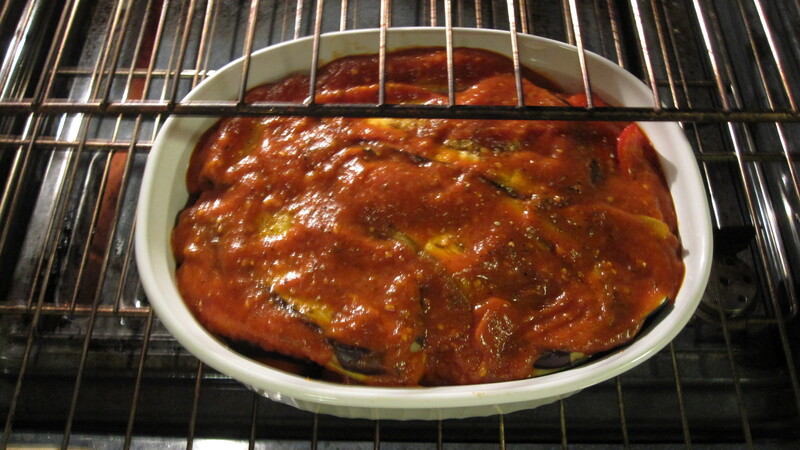 Make sure that the top layer is coated with sauce so your veggies don’t dry out or burn. Bake the lasagna for 45 minutes. It should be bubbling when you take it out, so let it cool before you serve! Every Italian family has their own lasagna recipe (usually it’s top secret and won’t be shared unless you marry into the family). You can add these ingredients to this recipe too. Add sausage, grass fed ground beef, hard boiled eggs, or your favorite herbs. And if you have a favorite ingredient that I should try, let me know!